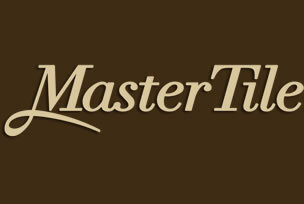 Customize the look and feel of your pool with quality tiles and coping from Master Tile. We stock a full range of luxury finishes to give your pool just the shimmer and texture you’re looking for. From modern glass tile and durable ceramic to natural stone tile and coping, we import the latest trends and the highest quality from around the world to complement any pool style or design theme. Choose from an endless array of texture and color combinations to create a luxury pool interior that’s uniquely you. Visit one of our state-of-the-art showrooms to choose your pool tile and coping in comfort. Experience how the different textures feel under your skin, and see first hand how your choices will look in a pool’s interior. Samples are available for you to take home so you can see how your choices look next to your home’s exterior and that of other nearby structures or features. With our full product line on display and a friendly staff ready to assist, tile selection has never been so easy. Our seven modern showrooms are spread across the Sun Belt, so you’re sure to find a location near you. Our showrooms are open year-round, most of them six days a week, to offer you flexible and reliable service. Our experienced staff is fully trained to assist in your tile selection process. Our goal is to make this process an enjoyable one, removing the stress and indecision by answering your questions, making suggestions and guiding you to the options that fit your style and budget preferences. Once you’ve made your selections, we’ll store the information in your file for future reference. Should you or your builder misplace this information, rest assured that it is all stored securely in our system. Can’t make it to one of our showrooms? Browse our full line of tiles and coping online. We’re available by phone to assist in any way we can, and ship nationwide for your convenience.